This post may contain affiliate links. Read our disclosure policy here. 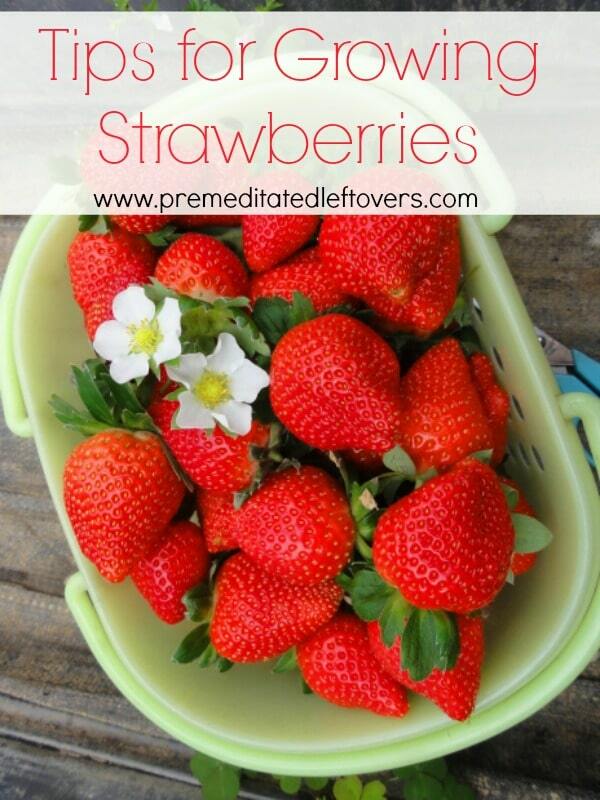 Strawberries make a tasty snack or can be enjoyed in salads or desserts. Growing your own strawberries can be fun and easy, and can provide you plenty of berries to enjoy all season long. If you are considering growing these tasty berries this year, here are some helpful tips on how to grow strawberries for yourself. Begin by choosing an area that gets 8 hours of sun per day. If planting from seed, you want to use soil that is rich and well drained. Make a hole about ¼ inch deep in the soil and drop a strawberry seed in. Strawberry seeds are tiny, so be sure to use tweezers or some type of pincher to make the job easier. Cover the seed with soil. 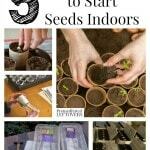 Place the seeds six inches apart when planting. If planting from seedlings, you will follow this same spacing guideline as well. If you don’t get a lot of sun in your yard, or you don’t have a lot of space, growing strawberries in containers is a great idea. This way, you can use up less space or move the container as the sun moves. Most lawn and garden shops carry strawberry specific planters, which are the deep pots with multiple openings for the berries. If you wish, you can use a basic flower pot or hanging basket for your strawberries. You want to just be sure it is deep enough for the roots to stretch out and drains water well. Even when planting in containers, be sure to follow the spacing and planting depth guidelines mentioned above. Once your strawberry seeds or seedlings are planted, you will want to take good care of them. You can begin by making sure the soil is always kept moist. Water every few days to ensure the plants are getting plenty to drink. Enrich the soil by sprinkling coffee grounds around the base of the plant. Strawberry plants thrive off of nitrogen rich soil and the coffee can help achieve this. It will also act as a mulch and can help keep moisture in. Keeping your strawberries well watered with plenty of sunlight is the key to a good crop. If it appears that pests are starting to enjoy you strawberry plants, you can place a light netting over them. 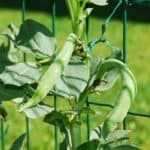 This will help keep birds, rabbits, and other pests at bay. If you do see any yellowing or rotting of the plants, remove the damaged area as soon as you can. Strawberries are typically ready about 30 days after you see the first bloom. 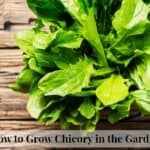 Pick as soon as they are bright red, as leaving them on the stem too long can cause rot. When you pick them, pick the green cap of the strawberry with them. Immediately take the berries to a cool place. Strawberry plants will come back year after year and produce berries for you. It is best to keep plants 4-6 inches apart to allow plenty of room to grow. If you notice any underperforming plants, simply remove them to make room for the hardier plants. You can also remove plants that are causing crowding and replant them elsewhere. Are you ready to enjoy fresh strawberries in your own kitchen? Growing strawberries is simple when you give these planting tips a try! I’ve been trying to grow strawberry at home. I tried from seed in damp cotton and now the sprout already transferred to a small pot. But the growth seem too slow. Is it normal? Its already quite some time but it still small, less than 1 cm. Is there anyway to fix it. 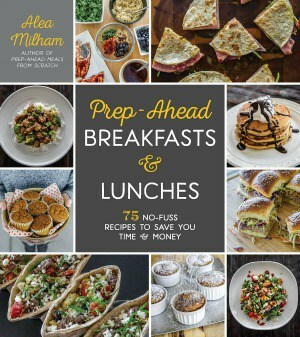 On Premeditated Leftovers I share simple recipes made with whole foods, practical shopping tips, time saving techniques, and meal planning strategies. I also share tips for minimizing food waste, so more of the food that is purchased ends up on the table. While volunteering as a budget counselor, I realized that food is the element of most people’s budgets where they have the greatest control. 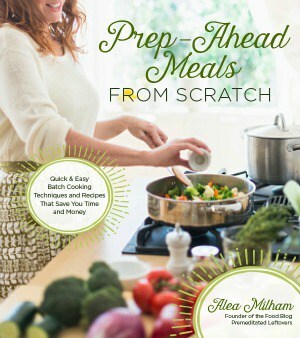 I set out to develop low-cost recipes from scratch to prove it’s possible to create delicious meals on a limited budget. Eating well while spending less is about more than just creating recipes using inexpensive ingredients; it’s about creatively combining ingredients so you don’t feel deprived and are inspired to stick to your budget. Copyright ©2019, Premeditated Leftovers™. All Rights Reserved.